WEAK men made strong! Puny, sickly chaps transformed into husky, broad-shouldered athletes! Man, if you’ve got an ounce of red blood in your veins you’re going to find out about this wonderful way to get STRONG. All in a few minutes a day at home. My Free Book tells the whole amazing story. Send for it TODAY. Can You Do These Feats of Strength? How would you like to amaze your friends by tearing a telephone book or deck of cards in two? Titus trained men do these feats and many others with ease. A New Body In 20 Minutes a Day! Just give me 20 minutes a day, that’s all—and WATCH THOSE MUSCLES GROW! See the amazing change in 30 days. Man, won’t you be PROUD of those big, rippling muscles! But don’t get a swelled head when you hear the girl friends raving about your handsome, athletic build. I don’t just promise you all these good things—I GUARANTEE results. I Guarantee to put a solid inch of powerful muscle on your arms, a couple more on your legs—I Guarantee to develop every muscle in your body in proportion—I Guarantee to broaden your shoulders and add 5 inches to your chest—I Guarantee to strengthen your internal organs, too—I Guarantee you new pep, new energy, NEW LIFE. Let Me Make YOU Over FREE BOOK Tells How Come on, friend, you’re next! I can’t begin to tell you here what Titus Training has done for thousands of men—what it will do for you —but my great new book tells the whole amazing story. This book will give you the surprise of your life—read how weaklings have been changed into strong, brawny HE-MEN—see actual photos of magnificent models of muscular manhood—discover how EASY it is for you to get strong. This glorious book is yours FREE. Mail that coupon NOW— no cost, no obligation, no salesman will bother you. There are no strings to this offer. TITUS, Dept. W-148 853 Broadway, New York, N. Y.
Dear Titus: Okay, send me that wonderful new book of yours “Miracles in Muscles.” Get it to me by return mail without the slightest cost or obligation on my part. …includes a vial of Tiger Blood. Man, I gotta get me one of those medals! All my problems would be over. Could have saved a fortune on my unused , good intention, gym membership. 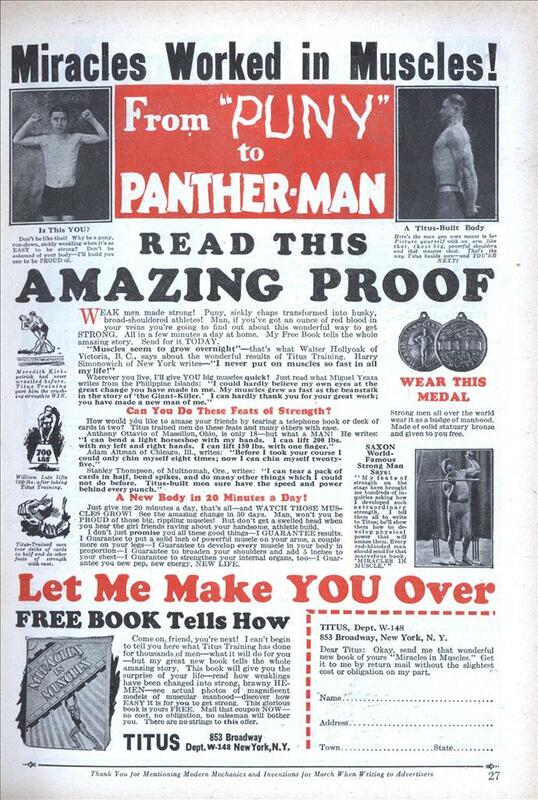 Yep, they sold ‘roids even back then. 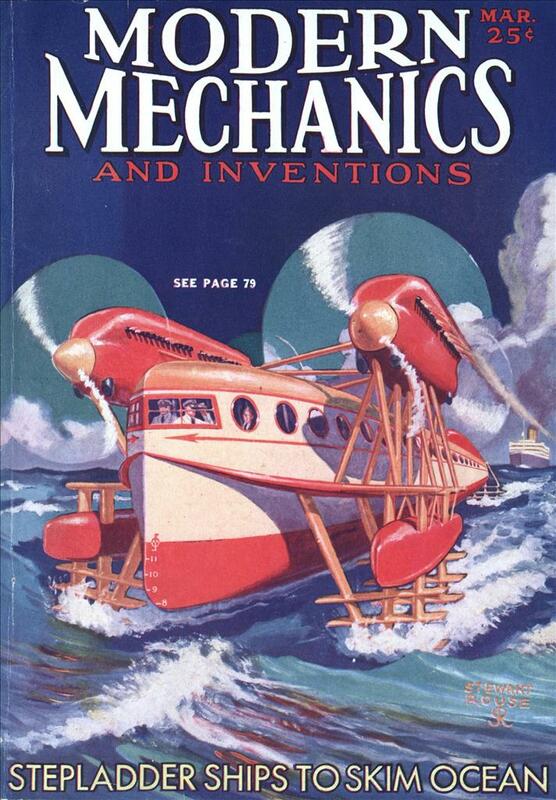 The ad doesn’t do justice to the cover http://ephemerastudies….